Description: This is the chapter on 16th century Danish astronomer Tycho Brahe from Sir Robert S. Ball's Great Astronomers, second edition, which begins: The most picturesque figure in the history of astronomy ... Tycho Brahe was alike notable for his astronomical genius and for the extraordinary vehemence of a character which was by no means perfect. His romantic career as a philosopher, and his taste for splendour as a Danish noble, his ardent friendships and his furious quarrels, make him an ideal subject for a biographer, while the magnificent astronomical work which he accomplished has given him imperishable fame. ... Before Tycho was seventeen he had commenced the difficult task of calculating the movements of the planets and the places which they occupied on the sky from time to time. 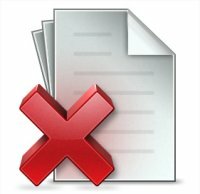 He was not a little surprised to find that the actual positions of the planets differed very widely from those which were assigned to them by calculations from the best existing works of astronomers. With the insight of genius he saw that the only true method of investigating the movements of the heavenly bodies would be to carry on a protracted series of measurements of their places. This, which now seems to us so obvious, was then an entirely new doctrine. Tycho at once commenced regular observations in such fashion as he could. 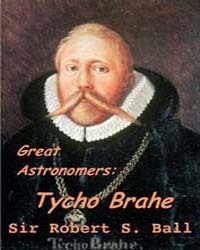 This book traces the life of Tycho Brahe (born 1546): the unusual way he was adopted by his uncle as an infant, his education, his productive years as inventor of precise astronomical instruments before telescopes, his meticulous observations, his personal life, his death as a prematurely aged man in 1601. Tycho’s observations were accurate enough for the mathematical astronomer Kepler to calculate that the planets moved in elliptic orbits, and to discover Kepler's other laws, which gave Newton the facts he needed to establish his inverse-square law of gravitation.